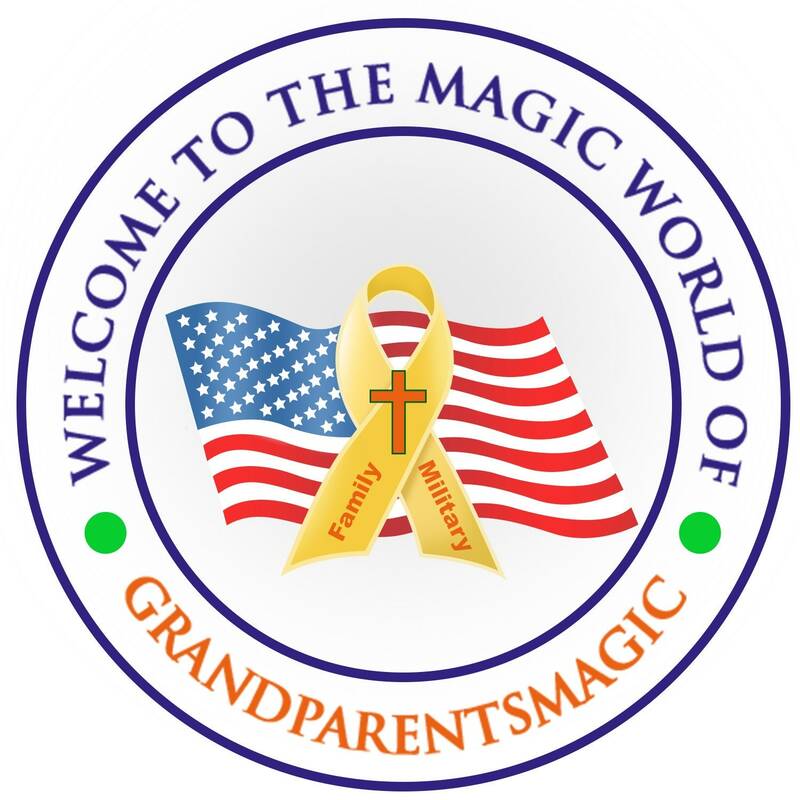 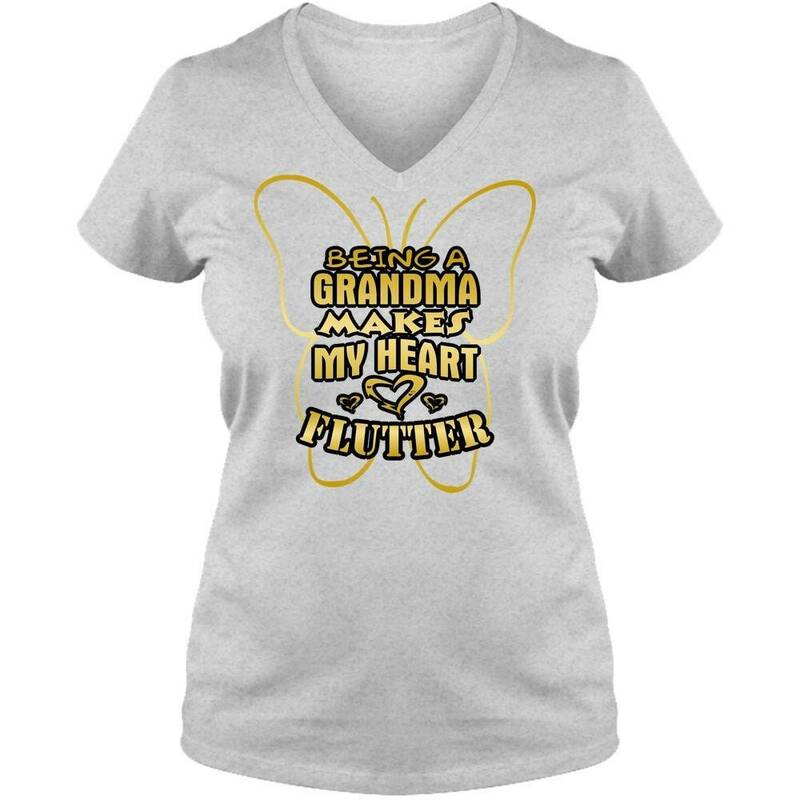 This “BEING A GRANDMA MAKES MY HEART FLUTTER” personalized butterfly t shirt is definitely the perfect tshirt for your Grandma... for any occasion. 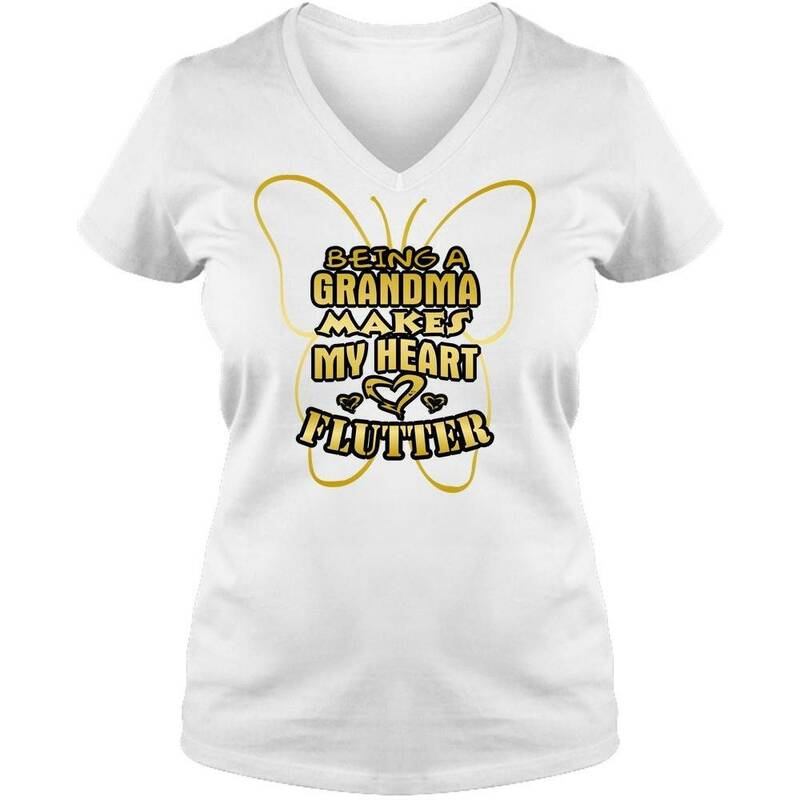 Grandma is your number one fan in the stands cheering you on at all of your games. 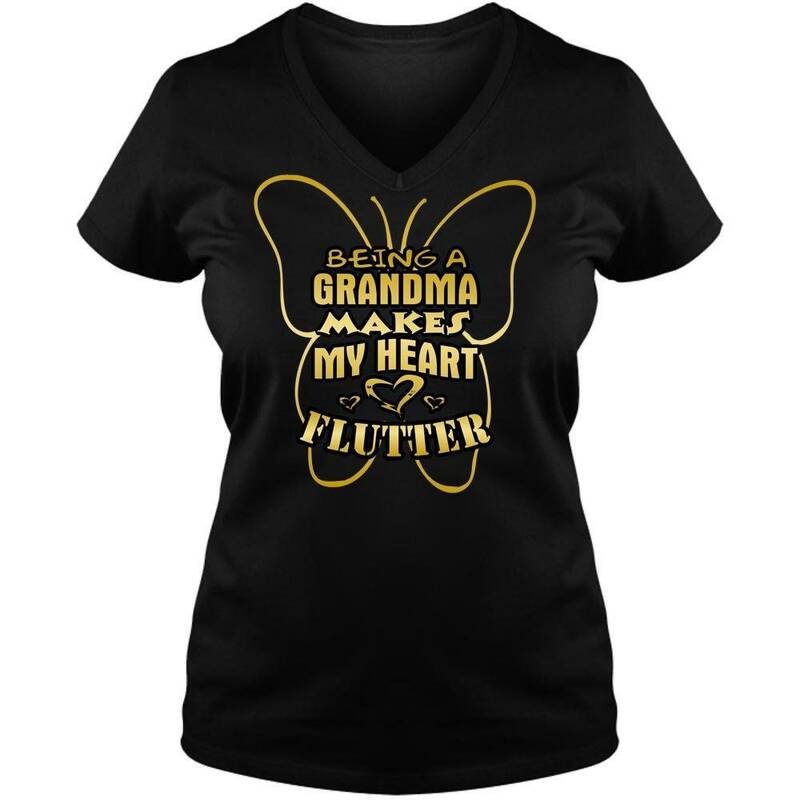 She has unlimited snuggles and hidden stashes of candy. 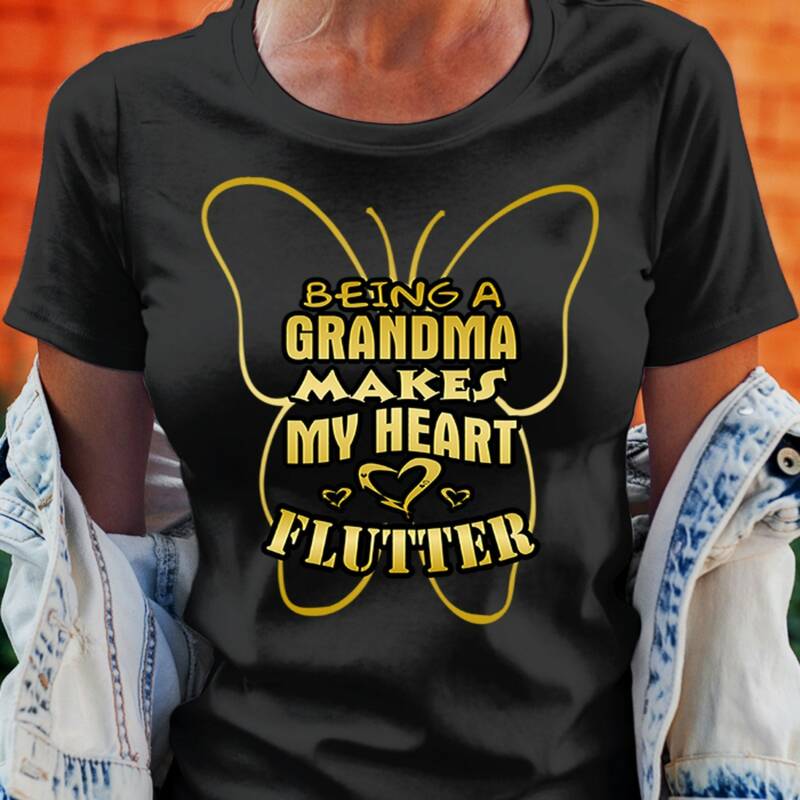 Grandma is your best friend until the end. 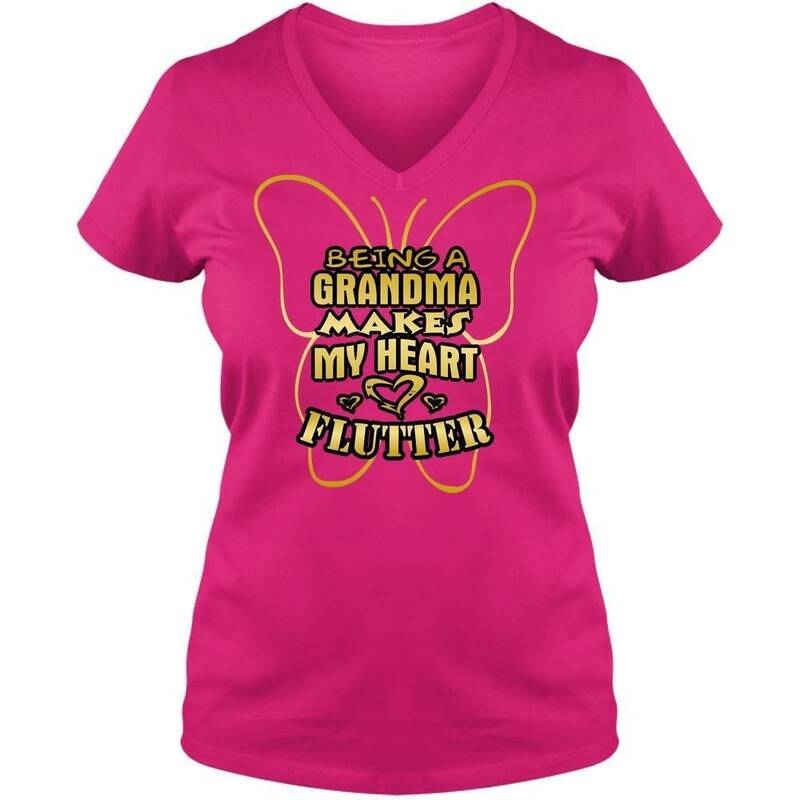 For her birthday or special occasion this year, give her a gift as beautiful as she is. You are her little butterfly, and being your grandma makes her heart flutter.